Happy Monday everyone! Welcome back. 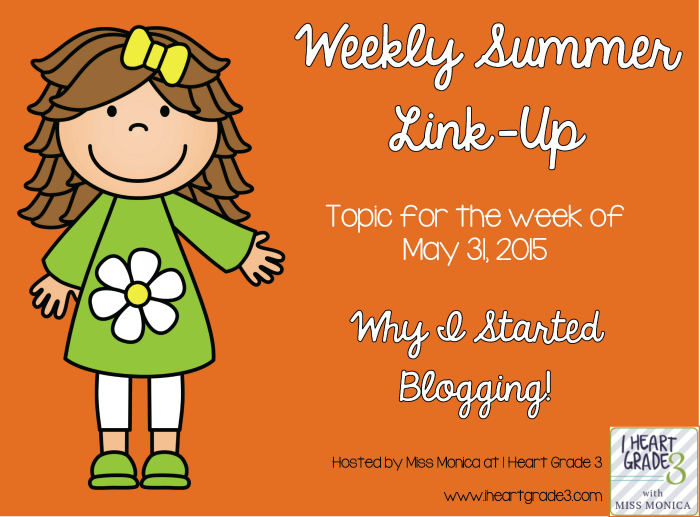 I'm joining in again for another week with Miss Monica from I Heart Grade 3 and her Weekly Summer Link Up. Each week, Miss Monica has a writing prompt to blog about. In case you missed my post last week about my Summer Goals, check it out. So now, onto this week's topic. But seriously, why did I start blogging? Well, it's been a long time since I first started this blog. Almost 5 years ago. This blog has gone through so many phases. 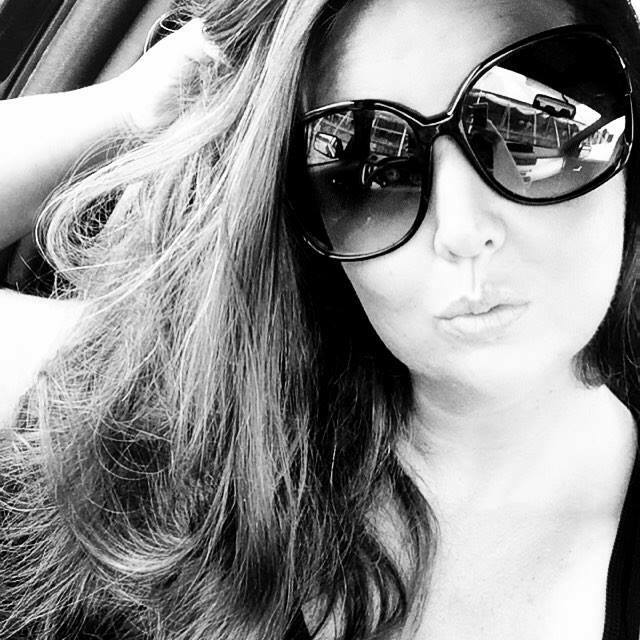 It has grown as I have in my blogging and my topics. It has gone through several name changes as well as layout changes. Before those five years though, I made my first blog dedicated to Marie Antoinette. Yes, my obsession. I love Marie Antoinette and I made a blog all about her. Fun facts I found as well as just personal insight. Though, I lost interest in the blog itself. I then started blogging because I thought it may be a good way to post photos and share things with family and friends. This was before Facebook was really big and after MySpace died out. But of course, with no real involvement and interaction from anyone, I lost interest in it. I left the blogging scene for a year and then decided to give it one last try. That is when I started this blog. Originally, this blog started out as just a diary type of thing. For me to just post whatever I had on my mind. A way to just talk and if anyone out there was willing to listen, that was even better. It was originally just a mommy blog. A few thoughts and topics about me and my daughter. I just thought I could share my thoughts with the world and my friends. I then started to find blogging communities and started making blogging friends. 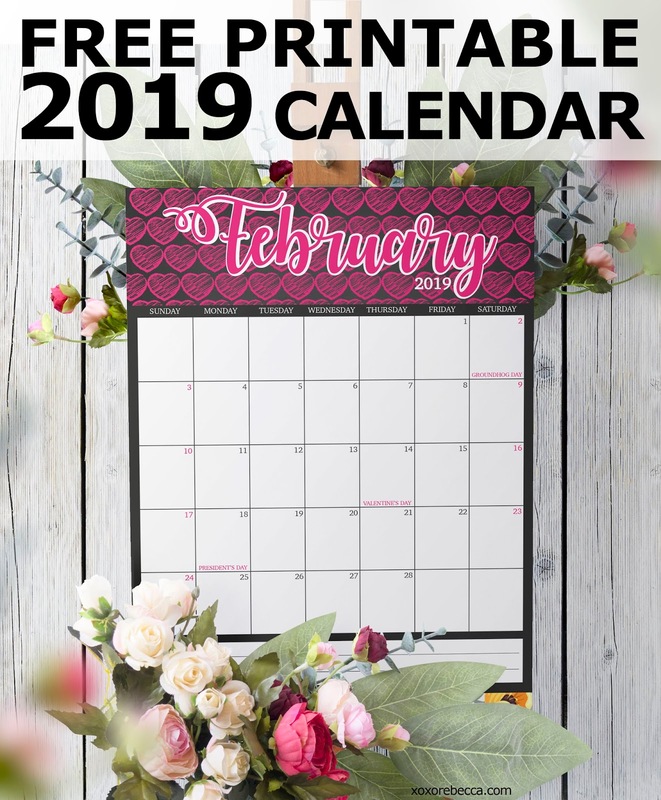 I found the wonderful world of blog hops/link ups and instead of this becoming another blog in the history of my blogging career that no longer existed, I pushed this one to be successful. I wanted this to work and to be something I loved and found enjoyment doing. This blog has been going strong since December 2010 and I hope to continue it for many more years. Though I no longer have a lot of time to blog every single day like I used to, I still push to make this blog a place people keep coming back to. So I started blogging just because I had something to say and wanted to share it with people who wanted to listen. Whether or not those topics make sense or not... I just wanted to be apart of the blogging community. And it has grown so much since I first started. I still remember what my first layout looked like and all the bloggers I made friendships with that no longer blog and have become distance out of my life. I am forever grateful to those that shared and helped me along the way even though they aren't blogging anymore. I love seeing the new generation of bloggers come up each year. 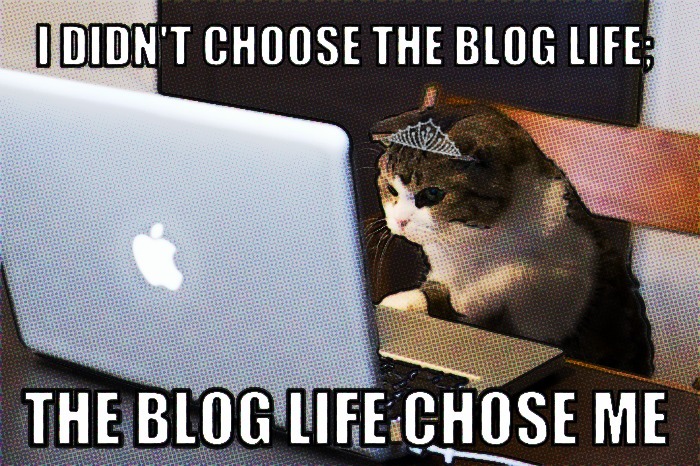 I don't feel like blogging is a competition. I feel like it's a big strong community of amazing people. Though we all may blog about something different, we all seem to be there for each other and help out along the way. That is why I love blogging and continue to want to blog. Now my blog is full of product reviews, blog hops, crafts, tutorials, classroom projects, pregnancy, things I like, things I dislike, funny stories, not so funny stories, and just life in general and everything else in-between! I wonder what else my blog will have in store for the future!